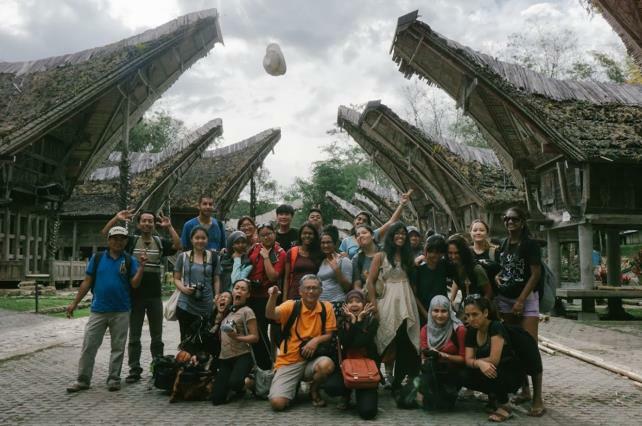 Eighteen students, a chaperone and pathfinder Dr. Yeoh Seng Guan embarked on yet another journey of the “In Search Of” series to Makassar and Toraja located on the island of Sulawesi, Indonesia. 2014 marks the 10th anniversary of the series and this particular one was 14 days long, making it the longest study trip ever organized to date. The host institution for this year’s study trip was Universitas Hasanuddin (Hasanuddin University) in Makassar. Five student guides from Universitas Hasanuddin stayed with the student-travellers throughout the entire trip. The first half of the trip was held in Makassar where we explored the bustling capital of Sulawesi. We attended several sessions organized to gain valuable insights to the history and formation of Makassar as well as to enlighten us on the various ongoing causes revolving around the theme of human rights. Students were taken on a walking tour to Chinatown lead by Drs. Dias Pradidamara, a lecturer at Universitas Hasanuddin, and Ms. Yuli Tanyadji, a Makassan-born local expert who fascinated the student-travelers with the rich history in local architecture and warung kopi (coffee shops) of Makassar. We also visited a significant historical site, the Fort Rotterdam, an originally Gowanese fort built in Makassar which was then taken over by the Dutch in 1667. 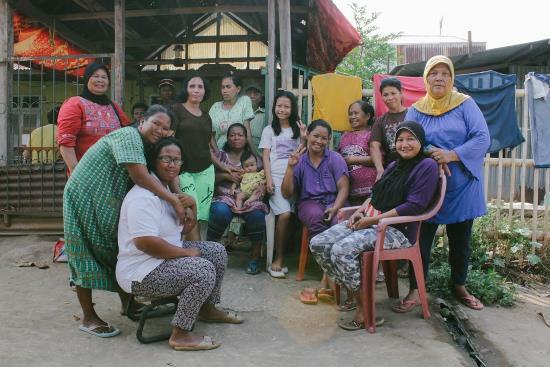 Among other activities, we visited an urban poor village facing eviction and learnt about the work of a group of socially engaged student architects called ARKOM (Arsitek Komunitas Makassar) in helping them re-design their houses. Student-travelers also learnt about the initiatives of local civil society groups like KontraS (human rights group), Komunitas Sehati Makassar (LGBT group) and Kampung Buku (a space for publishing company Inninawa Publisher and public library). 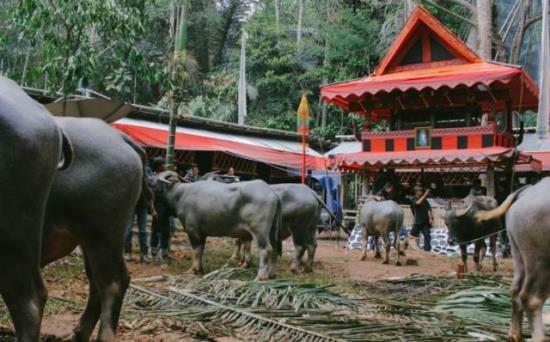 After a week in Makassar, we travelled to the Tana Toraja regency, which was a 10-hour bus ride away. It was not just any bus ride on the highway - we had to endure the winding roads and constant honking for safety reasons for at least half the journey. 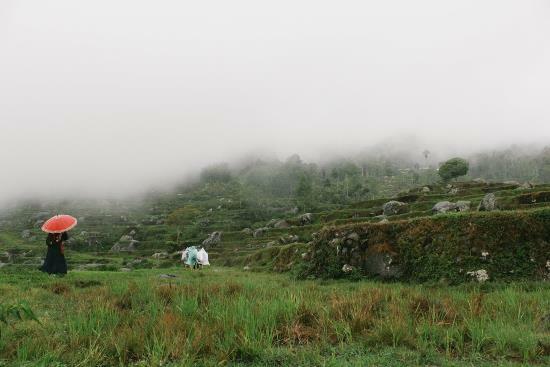 Nevertheless, the mountain scenery was a breathtaking change from the bustling lowland city. We were based in Rantepao, the capital town for the district. Our place of abode was Wisma Monton, a guesthouse located inside a kampung (village) and nearby to the morning pasar sayur-sayuran (vegetable market). Torajans are known for their burial practices and unique architecture of the villages. We visited gravesites in three villages – Kambira, Lemo and Ke’te Kesu. The graves were evidence of the enduring deeply rooted beliefs and customs pertaining to death in Torajan culture and are considered very sacred to Torajans. Perhaps the air of eeriness was just child's play as the students had yet to experience the funeral ceremony before the burial, a vital tradition in the Torajan culture. The following two days were the most difficult, where the travelers visited a funeral ceremony in Tikala and witnessed the slaughter of pigs and buffaloes. 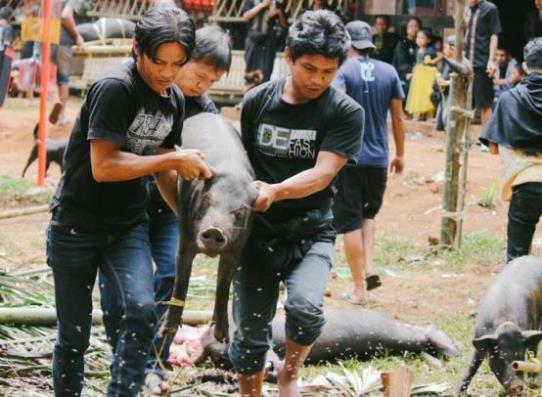 Both pigs and buffaloes are significant animals to Torajans regardless of religion; pigs are gifts from visiting family members and guests at the funeral; buffaloes are signs of a family’s wealth and status as well as to quicken the arrival of the deceased to Puya (the afterlife). To Torajans, the deceased is considered “ill” until the funeral ceremony is carried out, which can be months or years after the person’s death. The aforementioned funeral ceremony was held two years after the death of the family member. This gives the family time to raise funds to pay for the funeral, to buy enough buffaloes, and for extended family members and nearby villagers to gather for the funeral. 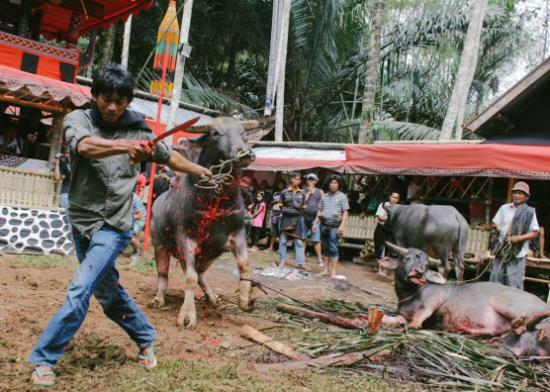 This goes to show that a Torajan funeral ceremony is not an abrupt process but rather a slow one, as everything is meticulously planned, from the schedule of the ceremony, to deciding which buffalo gets slaughtered first, welcoming the guests, having the women folk prepare food and drinks, and the burial process. “In Search of Makassar and Toraja” left us student-travelers with once-in-a-lifetime experiences, lessons to learn and thoughts to ponder – invaluable “souvenirs” taken home as we embarked on flight AK333.